It’s the Murphy’s Law of produce shopping-if I buy three bananas it never fails that my boys go coo-coo and eat them all in a day. If I buy ten, no one touches them all week and next thing I know they are overripe on the counter. 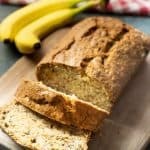 I’d rather overbuy bananas than under buy, so when they don’t get eaten it gives me an excuse to make this easy banana bread recipe! 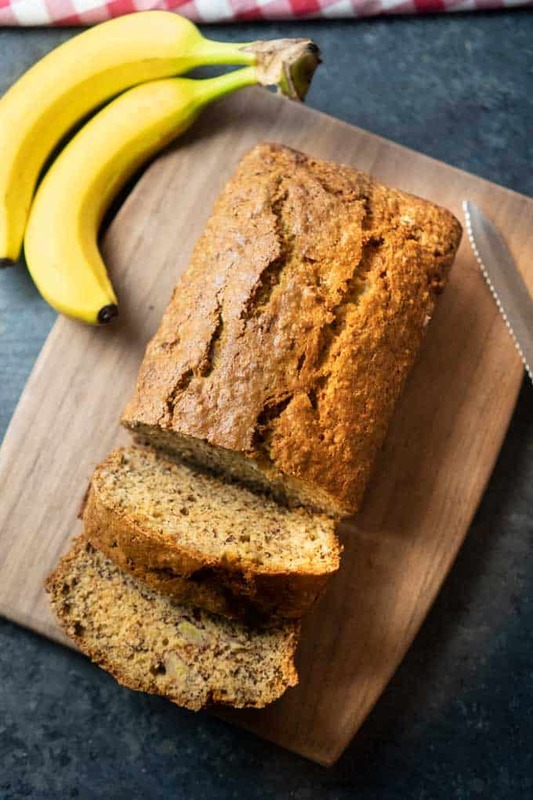 This easy banana bread recipe is a delicious way to use up overripe bananas! Mash ripe bananas with a potato masher. Add in the sugar, egg, and vanilla and mix. Add the flour, baking soda, salt, and nuts last and mix well. Pour mixture into a buttered 4×8 inch loaf pan. Bake for 1 hour. For muffins, reduce cooking time to 30-35 minutes or until golden brown. « Best Dirt Cake Recipe. Ever. previous post: Best Dirt Cake Recipe. Ever. 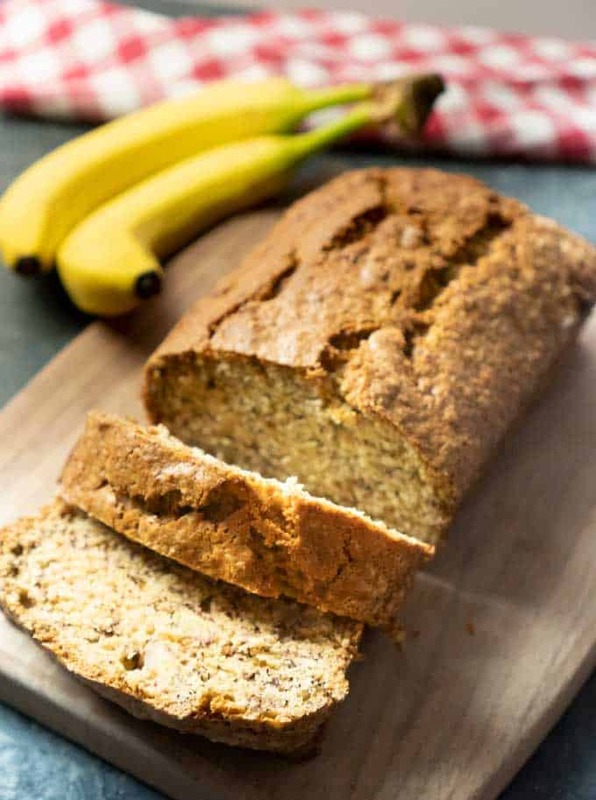 Mmm there’s nothing like a piece of homemade banana bread! It looks delicious! Every year I make banana bread and I use a different recipe. This year I tried your recipe and it was so simple and tastes great that I will have to print this out and use it forever. Thank you. Made this today! Love it! Used 1/2 cup of mini semi sweet chocolates, can’t out amazing! !